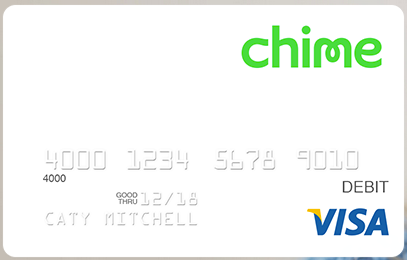 Recently, Bancorp released a new prepaid card to the world: The Chime Card. It’s not a new Serve or Visa Buxx, it’s something entirely different. You could say it’s Bancorp’s answer to Amex Offers, since coupons are the main perk on this card. Hit the break to learn about this awesome new tool! As I mentioned above, Chime is similar to Amex Offers in the sense that they both offer coupons and promotions. 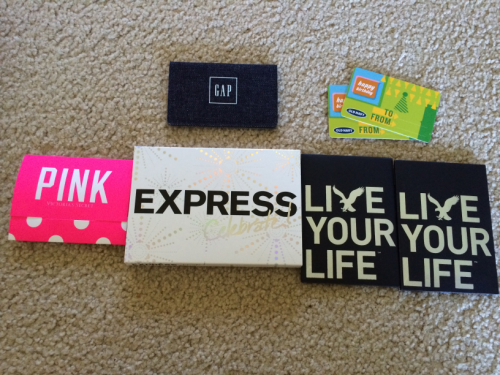 The difference between them is simple; Amex Offer promotions are exclusively coupons (i.e. Spend $50 get $10 back at XXXXX). Amex occasionally does release “freebies” like “Spend $10 get $10 back at Amazon,” but that is still a coupon due to the spending requirement. If you were to only spend $9.98 at Amazon, you would not get the $10 credit. Chime, on the other hand, gives you both coupons and store credit offers. Store Credit: Store credit is the best, since there is no spending requirement. For example, If you had a $2 credit to Chipotle, you could make two $1 or less purchases or one $2 or less purchase and the credit would cover the purchase(s) entirely. Coupons: Coupons work just like you would expect. You need to hit the spending requirement of the coupon for it to work. The spending requirement needs to be hit in one purchase. Spend $50 get $10 offer from last week. There aren’t many fees and the limits are rather generous. Here’s the breakdown. You can find the complete Cardholder Agreement here. How Can I Manufactured Spend With This Card? This card can be loaded with a debit card, bank account, and direct deposit. If you’re on this blog, chances are you will only take advantage of the debit card loads. If that’s true, you may be thinking, “This is a great way to liquidate some OV cards.” Sadly, that’s not the case. This card cannot be loaded with a gift card. So, how do you MS with it? Simple. You need to load it with a points/cash back earning debit card (i.e. Paypal Business Debit, Suntrust Delta, ect.) I have a Paypal Debit card and I have successfully earned 1% cash back on my Chime loads. I do not have a Suntrust Delta, but from what I’ve heard you do earn Skymiles from those loads. Chime’s load limit seems to change back and forth between $100 and $200 per day. So, it’s worth trying to load $200 per day even if it says $100 is the daily limit. Alternatively, if you have a bank account that requires a certain amount of debit card transactions per month, you could do multiple $1 loads from your debit card. Loading a prepaid card is useless for MS if you cannot unload it at a minimal cost. Fortunately, this card can is easily unloaded in a few ways. Money Orders: Since this card has a PIN and is an actual debit card, you can easily buy money orders with it (it even has your name on it!). The best use of this method is to load your card in intervals of $500 or $1,000, depending on where you buy your money orders, then buy them in that amount minus the fee. Purchases: You could only load the amount of the offers you plan to take advantage of. For example, if there is a $10 off $50 offer and you plan to spend $60, you could load $50 then use the card to pay $60. This works best for gift cards, which I will get to in the next section. Serve/Bluebird Loads: This should be your last resort in terms of loading, since these loads can be done with gift cards that you purchase at 2X+. Walmart Bill Pay: I’ve never used Walmart’s bill pay system, but I’ve heard good things. You can pay your credit card bills, insurance bills, mortgage bills, ect. with a debit card/gift card at Walmart. It’s similar to Evolve, besides the fact that it’s offline and you can pay credit card bills. I use two of the above methods as my go to liquidation methods. First, I’ll take advantage of as many offers as possible by buying gift cards. Then I will buy money orders to liquidate the remaining balance. After that, I continue loading $100 daily until I reach $500, at which point I buy another money order. It’s quick and easy. Store Credit: The store credit promotions are by far the best offers Chime has, so it’s important to take advantage of them. The best way to do that is to buy gift cards. Since we both had these offers, we bought $10 gift cards with two cards ($5 on each) at the above stores. Modern POS systems have no problem splitting a payment on multiple cards, however, you need to make sure you have a competent cashier. At two of the above stores they didn’t know what they were doing and charged us $10 on each card. Fortunately, I shop at those stores regularly, so it wasn’t a big deal. If you sign-up for Chime through my link we both get a $10 bonus I get a $10 bonus after you load $50 to your card by 8/15/14. The sign-up bonus for both the referrer and the referee has ended. Now, the bonus only applies to the referrer. You don’t have to use my referral link, but I sincerely appreciate when you do! Thank you for your support! This card is a product of the infamous Bancorp Bank, so shutdowns are a very real risk, however, I have yet to hear of anyone being shutdown. There was one person on Flyertalk whose account was suspended for loading just under $2k without making any purchases. He contacted support and had his account reopened after explaining he planned on making a large purchase. Chime offers have limited availability, so it’s important to check whether a certain offer is available before making a purchase. I have yet to see an offer be used completely before expiring, but as more people sign-up this will likely become an issue. Statement credits will hit your account as soon as you make a qualifying purchase. Is Chime the next big thing in the points community? Not really, but it is a great tool that I would suggest adding to your wallet. HT to Doctor of Credit, where I originally learned about this card. Disclaimer: My Chime link is a referral link where we both earn $10 I earn a $10 bonus after you load $50 to your card by 8/15/14. You do not have to use my link, but I really appreciate it when you do. Thanks! Quick Note: If you do not sign-up with a referral link, there is no bonus. As mentioned above, the sign-up bonus has ended for the referee. Is Chime Still worth Signing up for or Keeping Open?